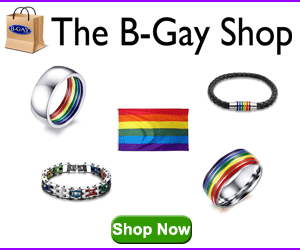 Especially in recent years, the Northeast has become increasingly abundant with gay-popular inns, even in small, rural towns far from big cities. You may not find lesbian and gay bars or myriad cultural offerings in the country hamlets of Vermont or Maine, but you can find an irresistibly romantic setting – perhaps an inn on a lake with an outdoor Jacuzzi, or a B&B nestled in the north woods and warmed by a roaring fire. Here’s a sampling of romantic and memorable inns in the Northeast, the first four offering cushy accommodations and appropriately upscale prices, and the last three providing a perfectly charming and inviting stay at more affordable rates. A dignified, Gothic Revival inn on quaint Edgartown’s main drag, the Hob Knob contains 17 spacious and airy rooms. It’s large enough to feel like a small hotel but also homey enough to feel personal and low-keyed. Fresh flowers brighten the guest accommodations, which are bathed in pastels and feature down comforters and pillows and a mix of well-chosen antiques. Most units overlook the lush gardens surrounding the property. A filling, complimentary breakfast is cooked to order each morning. 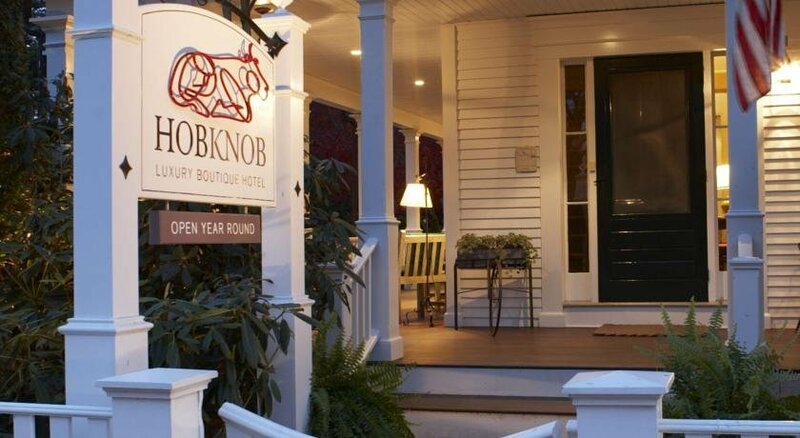 The Hob Knob stays open year-round, a relative rarity on Martha’s Vineyard, and the off-season rates can be a great bargain. Martha’s Vineyard has developed a notable LGBT following in recent years, and although nightlife is tame and without specifically gay options, the island is highly welcoming. In southeastern Vermont, just 2.5 hours from Boston and 3.5 hours from New York City, the Four Columns Inn excels both as a top-notch accommodation and a terrific restaurant. There are 15 rooms, all with gas fireplaces and traditional Colonial or Shaker furnishings. Many of the marble bathrooms have in-room Jacuzzis, and some rooms have private decks overlooking the tranquil and stunningly landscaped grounds, which are dotted with ponds and traversed by a mountain stream. Newfane is a quiet village, and that’s a big part of the Four Columns’ appeal. If you do stay here, try to plan at least one evening in the acclaimed restaurant, where you might sample such creative fare as seared medium-rare breast of duck with a rhubarb-red currant-port sauce. Little Stonington, a Colonial fishing village facing the frothy Atlantic Ocean (the rest of the Connecticut’s coast, to the west, fringes milder Long Island Sound), is refreshingly free of crass commercialism or chain shops. Until the tony Inn at Stonington opened in the early ’00s, there were no accommodations here either. But this 18-room property comprising two neighboring buildings has been a great success. Within steps of four excellent restaurants, a charming town beach, and a small history museum installed inside an old lighthouse, the property looks superficially like one of Stonington’s well-preserved 18th-century fishing captain’s mansions. Inside, however, rooms reflect a more contemporary style, from the deep two-person whirlpool tubs to gas fireplaces and central air-conditioning. Furnishings differ in each unit, but all have original artwork, beautiful custom-made wooden beds, and plush linens. Occupying one of coastal Maine’s classic shingle-style mansions – what wealthy summer folks referred to as “cottages” a century ago – this vintage inn anchors a 4-acre oceanfront estate on Penobscot Bay and contains three gorgeously furnished rooms. Each has a fireplace, TV/DVD, and oversized tub and shower. Additionally, four posh cottages sit alongside the water – these are more secluded and romantic, with decks and two-person whirlpool tubs. 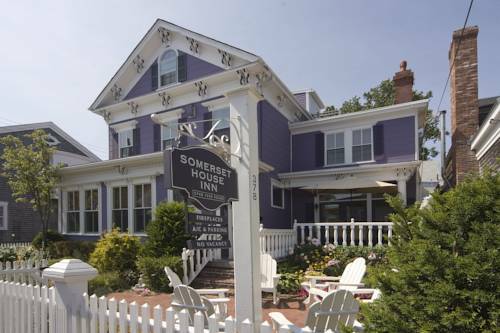 Accommodations are named for famed Maine residents, including painter Winslow Homer and poet (and lesbian) May Sarton. A lavish breakfast is presented each morning in a sunny conservatory. A short drive away, the village of Camden, which buzzes with restaurants and shops, overlooks a yacht-filled harbor. Boston has among the highest lodging rates in North America, so finding a romantic, gorgeously furnished inn with rates for doubles starting around $160 is no small accomplishment. Sure, there are even cheaper inns and chain motels in the area, but this Italianate Victorian bed-and-breakfast oozes charm and character. The inn, run by partners Dave Elliott and Daryl Bichel (along with two very friendly golden retrievers), is on a quiet side street in the lesbian-chic Jamaica Plain neighborhood; it’s just steps from several funky cafes and shops, and an easy bus or subway ride from the rest of Boston. The 1855 structure is one of the great old mansions of Jamaica Plain’s heyday – one room has a decorative fireplace, and all have queen-size sleigh beds and TVs. New England’s fave gay playground, P-town, can be pricey come summer, when the place buzzes with vacationers. One queer-popular resort where you can find downright chic rooms for just $200 during the high season is Somerset House, which has three snug but perfectly charming units starting at this rate. Off-season, rates sink as low as $125 nightly, and even the inn’s fanciest accommodations run for under $200 (consider staying in Room 5, where you can enjoy your own Jacuzzi tub, gas fireplace, and expansive bay views). All the rooms at this whimsically decorated property have high-speed Internet access, phones with voicemail, CD player/clock radios, mini-refrigerators, and DVD players. Plenty of gay travelers fed up with crowds, traffic, and high costs have begun avoiding the Hamptons and even Fire Island in recent years, and instead vacationing in the mellower Hudson River Valley, an hour or two north of New York City. A favorite accommodation in these parts is the Journey Inn B&B, which makes an idyllic base for exploring this scenic, cultured region. The gay-friendly inn lies just across from the Vanderbilt Mansion and close to both the Franklin D. Roosevelt Home and Presidential Library and the Eleanor Roosevelt National Historic Site. It contains six smartly appointed guest rooms with decorative themes based on such far-flung places as Mombasa, Kyoto, and Tuscany. The least expensive unit, the Roosevelt Room, has a pair of twin beds (a comment on Eleanor and Franklin’s married life, perhaps?) and costs from $170 per night; all rooms have private baths, some en-suite and some reached through the hallway. Another advantage to staying in Hyde Park: you can dine at one of the three well-priced restaurants operated by the Culinary Institute of America, which is just down the road. Previous articleCan You Ever Really Be Enough for Someone?